In a previous blog post, I talked about how to build a social media strategy for ecommerce sales, however my main focus in that post was only on B2C brands. 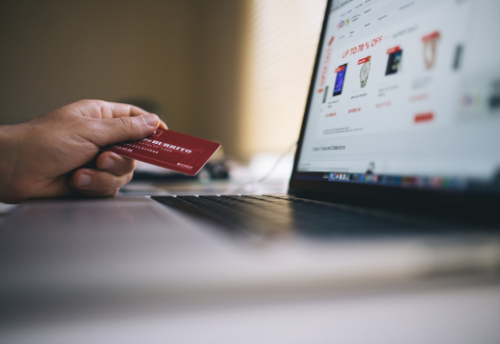 So today, I want to solely turn my attention to B2B ecommerce and why it is just as important for them to have a well thought out social media strategy to help drive brand awareness and increase their B2B ecommerce sales. First, let’s start by saying that ecommerce is not limited to B2C. If you’re in B2B and you haven’t considered ecommerce as part of your strategy. You can easily use ecommerce to manage your supply chain, distribute your products to resellers, or connect seamlessly with wholesalers. 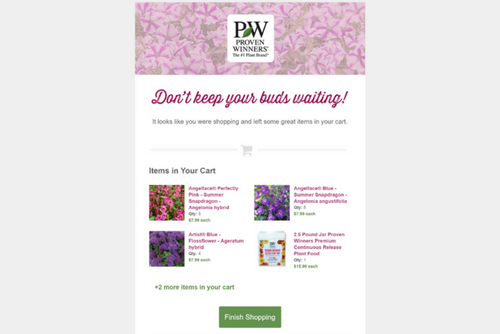 In fact, ecommerce shopping carts are becoming increasingly common for everyone from big and small manufacturers, dealers, distributors, and wholesalers. 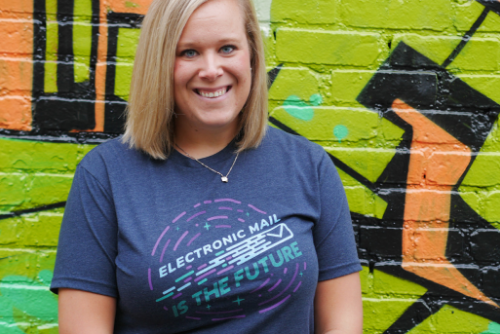 Want to learn more about emfluence’s approach to building B2B ecommerce sites? Learn more about our website design and development here. Although B2B and B2C social media marketing tactics are similar in many ways, there are some key differences that should always be kept in mind when it comes time to build out your social media marketing strategy. Let’s take a quick look at some of these differences and insights. We already know that social media is one of the greatest tools to connect and build long-lasting relationships with customers for both B2C and B2B ecommerce brands. However, if you’re a B2B brand you must also focus on establishing and proving your expertise within your industry. It’s important that B2B businesses share educational content that is relevant to their industry, whether it be an article, video, or perhaps a blog post like the one you’re reading right now (bonus points for brands who have a blog and generate their own content). By sharing this content, you are not only providing your audience with valuable information, but you are simultaneously showcasing a high level of knowledge and insights within your particular industry. There are countless social channels that you could choose to be actively marketing on, but it’s important to narrow down that list and choose wisely. As a general rule of thumb, LinkedIn and Twitter are going to be the “sweet spot” social platforms when it comes to B2B marketing. A CMI/MarketingProfs study showed that these two particular platforms are the most popular content distribution sites used by B2B marketers (source). So, if you’re just getting started on your B2B social media marketing journey these channels are great places to hit the ground running… I mean marketing. However, if you already have a strong presence on LinkedIn and Twitter, then it may be time to start expanding your strategy and content into other channels like Facebook and YouTube. Either way, make sure you are taking time to grow your B2B marketing efforts in a way that will allow you to further engage with your customers and brand followers in order to create long lasting relationships. 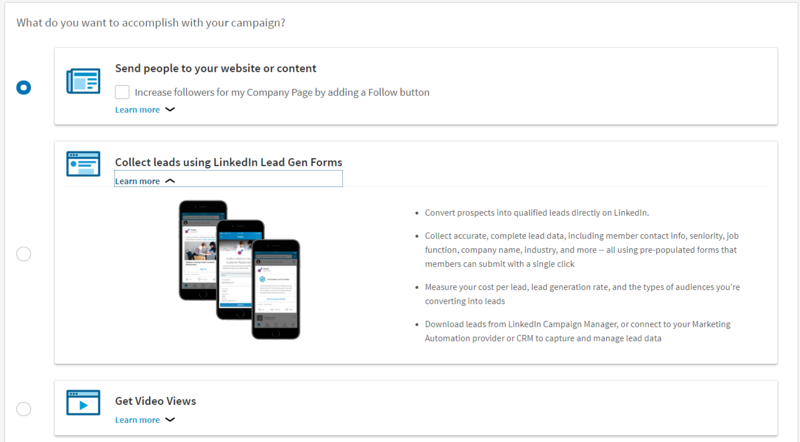 In this LinkedIn ad option example, you could push your target audience (either an uploaded list of your actual prospects or using the sophisticated audience creation tools LinkedIn offers) to a landing page with an offer, or you could use LinkedIn Lead Gen forms (which autopopulate with profile information) for a quick, seamless way for prospects to contact you. Want to get more visibility? Try promoting a video here, too. Before you even begin thinking about building or developing your social media strategy, it is incredibly important for you to remember that you are still marketing to another person. Market to others the way you would like to be marketed to. At the end of the day it doesn’t matter whether your marketing efforts are B2B or B2C focused – you are still engaging with an actual person, so creating personal connections and building long-lasting relationships is always going to play a significant role in building a successful social media marketing strategy. Want to learn more about emfluence’s B2B ecommerce social media strategy services? Contact us here to get started.